It is no secret that the demands placed upon the Irish business are greater than ever before. While there are numerous variables that enterprises need to take into account, energy savings is one of the most important (if not also the most overlooked). 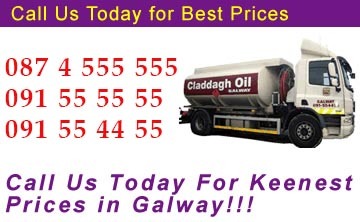 At Claddagh Oil, we appreciate that should these savings be passed directly on to the business, greater profitability and sustainability will be the inevitable result. So, what are some of the most commercially relevant benefits of choosing heating oil for a business? We are all aware that the natural environment is the most important gift that we possess. From a business standpoint, this is even more important, for governments are beginning to carefully monitor the carbon footprint of organisations throughout Ireland and the whole of Europe. A lower carbon footprint equates to valuable savings and in many instances, government-backed subsidies may be an ancillary benefit that cannot be ignored. Thus, we can offer specific commercial oils that will entirely depend upon the unique needs of the organisation. While this advantage is certainly not to be overlooked, we should further recognise that heating oil will reduce energy consumption up to 16% in relation to natural gas. As these fuels also tend burn at a hotter temperature, less will be necessary to adequately heat a commercial property. We also transport these oils with an on-demand viewpoint. We will deliver commercial heating oil six days a week and for added convenience, we are able to accommodate the unique time frames of the business. At Claddagh Oil, we are well aware that the bottom line of any business are the cost benefits that will be enjoyed from reduced energy consumption. Choosing our heating oils will allow a company to redirect these savings directly back into their core operations such as sales, marketing, product development and client engagement. Therefore, the return on investment (ROI) from our supply of oil cannot be overstated. Many businesses have now realised that not only will heating oil save a considerable amount of revenue, but it is simply good business sense. Green businesses tend to attract a greater amount of customers and they can be proud to state that they are contributing to the reduction of greenhouse gases within their local community. These are but a handful of some of the most important and commercially relevant reasons why heating oil is proving as the most viable choice for all of a company’s heating needs.